When Michael and Savannah invite young burn victim and heir Arthur Spence into their home, they don’t expect danger to follow. The sensationalism around his family’s dark secrets have the paparazzi in a photo-snapping frenzy and the young man isn’t yet equipped to deal with their shenanigans. Are they the ones issuing the unnerving threats to Arthur’s life, or is it a beloved family member? Rags, the kleptomaniac cat, has a new PAWtner in fighting crime and what a team they make. They delight in sticking their whiskers and digging their claws into the facts of the frightening matter. Hold onto your seats—there are some harrowing moments in this story, and some startling surprises. If you haven't tried this series, yet. 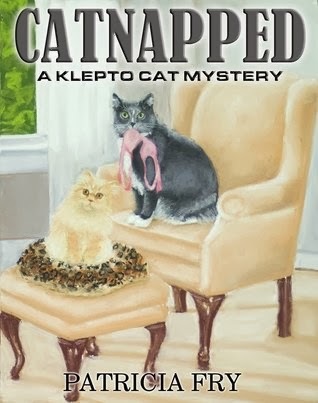 The first one, Catnapped, is free on Amazon for Kindle until tomorrow (4/24/15). 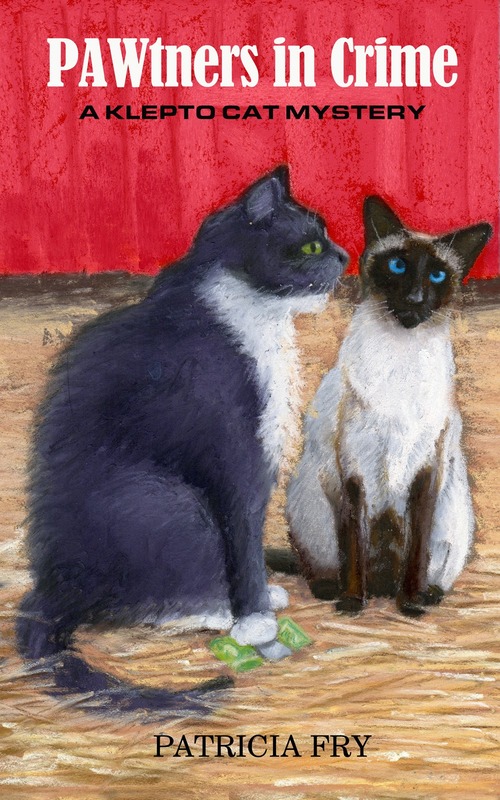 Purrfect book covers for Cat Thursday! Happy reading, Yvonne! Love both the covers! Sounds like a good series!